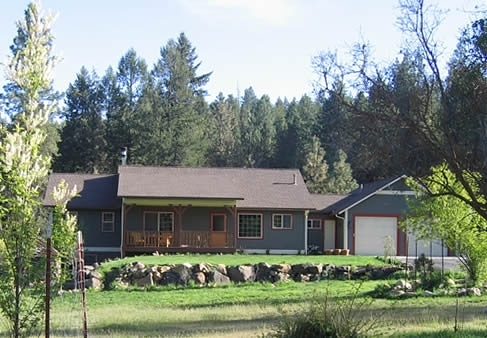 This country rancher with a walk-out basement was built on several acres of land in West Spokane. The home owners were looking for a warm "cabin in the woods" feel that would blend with the country setting. We accomplished this by breaking the standard rules and combining various wood species such as oak flooring, hickory cabinets, fir beams and hemlock trims, all in their natural colors. Other features include a custom wood burning fireplace with wall textures emulating the property's natural rock outcroppings and custom handcrafted balusters. This home was designed by Terry Mourning.